The philosopher speaks to the power of "Know Thyself,” beauty, truth, the musician speaks to resonance and harmony. the artist speaks to form, line, structure, color, the poet speaks to passion, word, vision, the educator speaks to focus, intent, skill, task, process, mastery, the martial arts master speaks to discipline, commitment and power, the coach speaks to game, rules, and winning, the body worker speaks to flexibility, strength, readiness. Should not the physician, the therapist, the counselor, the dietitian, each health professional, know the significance of each of these dialogues?? Truly a holistic paradigm of health care is called for! A person’s health and wellbeing are drawn from a myriad of influences, be they of heredity, environment, nutrition, experience, thought, attitude, care, abuse, trauma, imaginings, creativity, practices, consciousness. YES, the practices of seers, sages, healers, of Ancient Egypt, India, China, Rome, Greece, were guided by the ways of nature found in the human condition. Have we become so arrogant in our orientation to hold to the giving of prescriptive medications as the answer to all the ills of humankind? Are we coming to the realization that health care is to be mindful of cause and effect, supporting need, rather than simply masking symptoms? The body is a message bearer… it has a cell signaling process, not to be muffled, but to be decoded, respected, and understood, for its physical, neurological, chemical, emotional, energetic, call for balance and wellbeing. CAUSE and EFFECT have guided the orientations, research and development of specific service offerings and practices, both personally and professionally, since the Founding of the APOGEE Paradigm™ in 1983. YES, ‘Know Thyself’ … in all dimensions of need and power, in all aspects of health and wellbeing, in all expressions of consciousness. Listen to YOUR BODY AS INFORMER and learn its language of expressed need. Accord, Communication, Cell Signaling, Indicator Muscles, Innervation… and known be the experience of body, triggered by structure, form, balance, stress, the full province of consciousness. 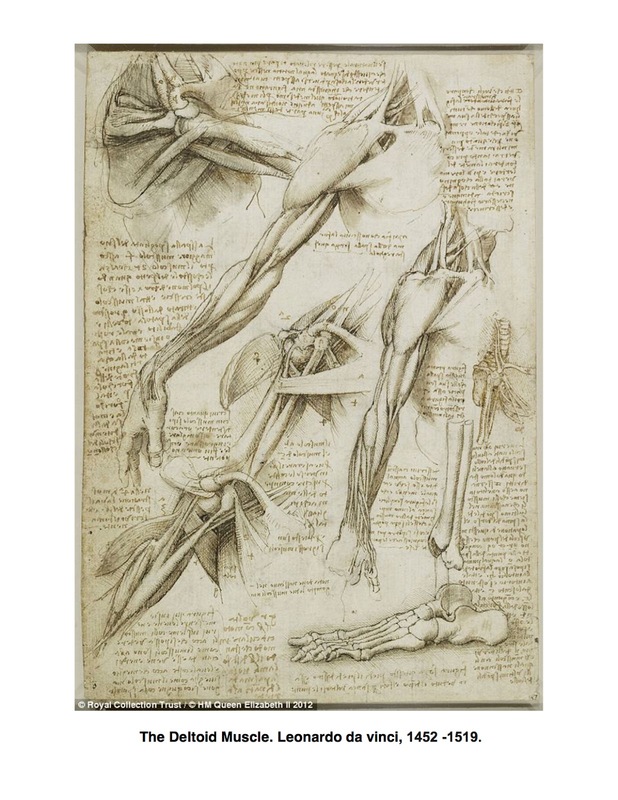 The artistry of our anatomical structure was indeed fully embraced by Leonardo da Vinci. How is a body constructed for movement, for survival, for life itself? Is there a ‘measure’ of man? By what divinity are proportions created? How is form and function aligned? Wherein lies the embrace of grace, spirit and beauty? Man as divine proportion, as sacred geometry, as living spirit, as the art of BEING, are expressed in da Vinci’s drawings, paintings, depictions, constructions, illustrated dissections. The depth of his knowing, his inspired exploration, his brilliant discoveries, his ever questioning genius, have been given unto us, indeed as the ART of BEING. To understand the body, its calling for nurturance, support, awareness, is to understand the very workings of our everyday existence. Every pain, every discomfort, ever illness, every disease, is the body calling for reappraisal, for change, for balance. And so we look to nutrition, to exercise, to relaxation, to massage, to what brings joy, satisfaction, goal and purpose. The body is reactive, reactive, reactive… Health and wellbeing are the result of responsiveness to the reactive body. By the understanding of the very responsiveness of specific muscles and innervation points, one can bring an informed awareness of what the body is signaling. The Deltoid Muscle, as an indicator muscle, is used to measure the presence of, or obstruction of, energetic flow. The Deltoid Muscle located on the outer aspect of the shoulder is recognized by its triangular shape. It was named after the Greek letter Delta for the similar shape they both share. The deltoid muscle is constructed with three main sets of fibers: anterior, middle, and posterior. These fibers are connected by a very thick tendon and are anchored into a V-shaped channel. This channel is housed in the shaft of the humerus bone in the arm. The deltoid muscle is responsible for the brunt of all arm rotation. It is also tasked with stopping dislocation and injury to the humerus when carrying heavy loads. One of the most common injuries to the deltoid muscle is a deltoid strain. Deltoid strain is characterized by sudden and sharp pain where injured, intense soreness and pain when lifting the arm out from the side of the body, and tenderness and swelling caused by, and located at, the deltoid muscle. Pain and/or weakness of the deltoid muscle is not only an indication of physical injury, but is a responsive indicator to stress and/or trauma, real, remembered, perceived, or imagined. The BODY as INFORMER… this the science and the art of direct body biofeedback. c. 1200, Greek letter shaped like a triangle, equivalent to our "D," the name from Phoenician daleth "tent door." Herodotus used it of the mouth of the Nile, and it was so used in English from 1550s; applied to other river mouths from 1790.
word-forming element meaning "like, like that of, thing like a ______," from Latinized form of Greek -oeides, from eidos "form," related to idein "to see," eidenai "to know;" literally "to see," from PIE *weid-es-, from root *weid- "to see, to know" (see vision). The -o- is connective or a stem vowel from the previous element. 1741, in deltoid muscle, so called for its shape, from Greek deltoeides "triangular," literally "shaped like the letter delta;" see delta + -oid.